In good old SAPGUI transaction like MM01, it is very easy for developer to find out the storage table field for a given field in transaction. For example for field “Sales Unit”, simply press F1 and then we can figure out in Technical Information, the field VRKME of table MVKE stores Sales Unit. 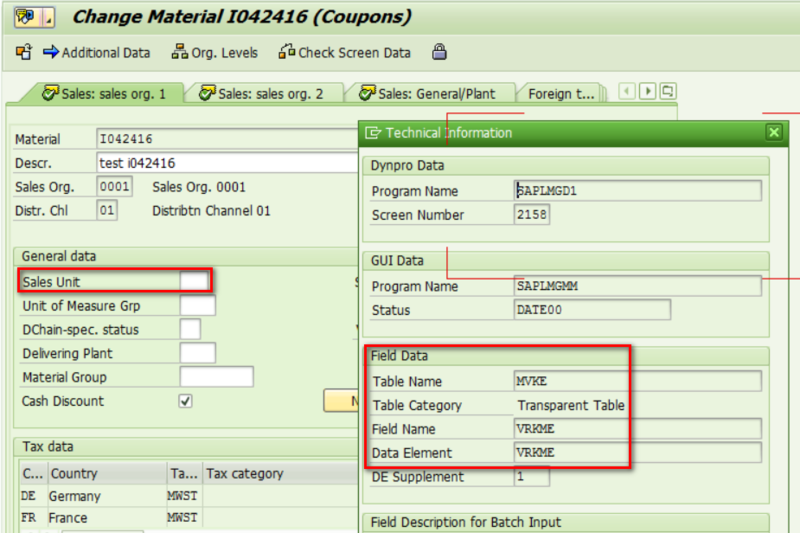 However, In S4 Fiori application, this simple approach is not applicable any more. For example I would like to figure out in which table the value for “Number of Goods Receipt/Issue Slips” is stored. 1. Identify the UI control field name which is bound to the UI field “Number of Goods Receipt/Issue Slips” in Chrome development tool. It is “NmbrOfGROrGISlipsToPrintQty”. 2. Open the metadata of your Fiori application, try to find which data type contains the field you find from previous step. The field name in metadata could not 100% match to the control name found in step 1, nevertheless there must be 1:1 counterpart existing for both and it is very easy to find the couple. In my example they are NmbrOfGROrGISlipsToPrintQty_fc and NmbrOfGROrGISlipsToPrintQty. 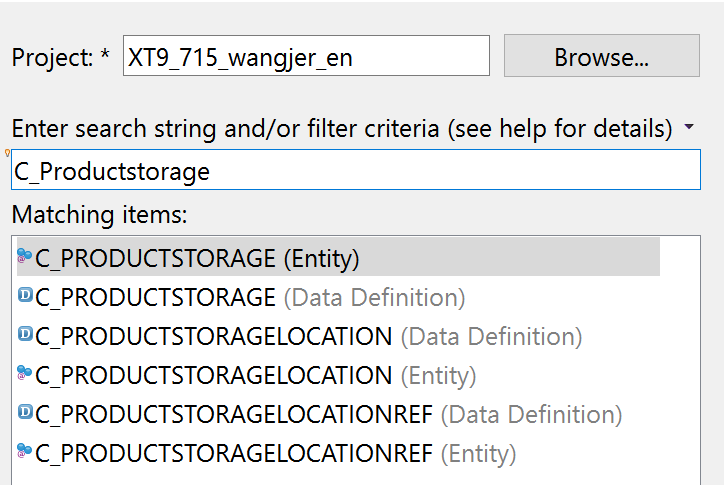 Now I know the field I am researching is bound to data type C_ProductstorageType in OData model. The CDS view C_PRODUCTSTORAGE is eventually reading data from MARA. no wonder that people post a screenshot in the community and ask about the table name. Nice trace through! I felt like I jumped through hoops with you. haha Thanks for sharing!